Immortelle or Everlasting is the popular name of the plant Helichrysum Italicum /H. augustifolium. One of the reasons for the name is that the flowers of the plant retain their color and shape after drying, making them a popular flower for long-lasting natural flower arrangements, also called eternelles. Helichrysum means Gold Sun in Greek, and the flowers do resemble small golden suns as they grow on bushy, grey-green stems. The stems are woody at the base and the plant can reach a height of 60cm or more. The flowers grow in clusters during the summer months. It grows on rocky sandy ground around the Mediterranean and is now also cultivated in the Balkans. The scent has herbaceous notes, reminiscent of warm hay, floral with a hint of honey. The plant is steam-distilled to obtain the essential oils. 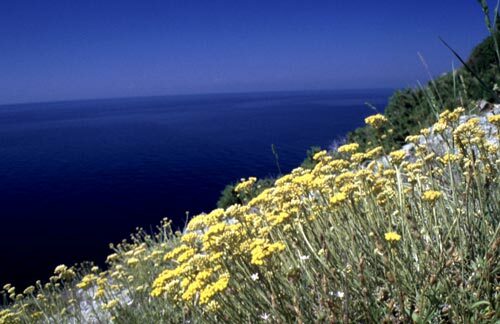 Some of the best EO come from Corsica where only the flower-heads are distilled after being hand-picked. Over one ton of flower-heads is needed for about 1 liter of EO. 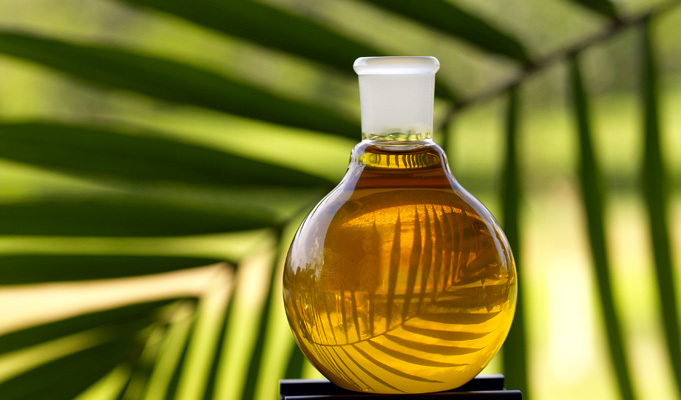 In other places the whole plant above ground is distilled, creating a nice and useful oil but without the high and fine energy of the Corsican flower-oil. When meditating on this oil, what came to me was this: “The healing of mortal wounds on every level.” And it is a healing oil, especially for skincare and wounds. 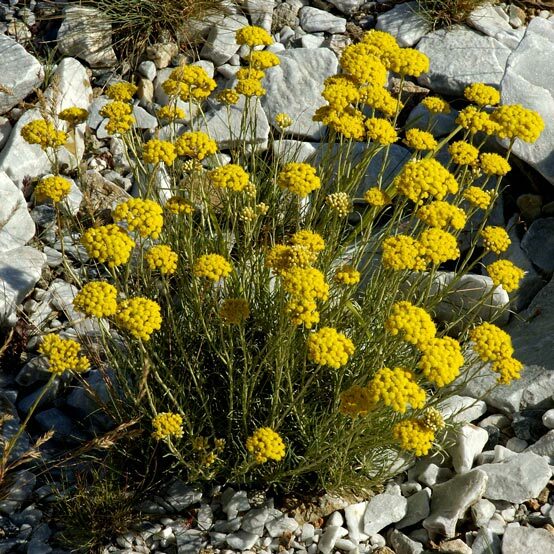 In Grasse, France, tests were carried out in the hospital using Helichrysum Italicum for broken skin tissue. There was rapid healing with very little scarring and no redness or infection. Research shows that by multiplying the natural collagen count in skin cells, Helichrysum diminshes wrinkles. It is used to diminish bruises, heal skin-tissue, minimise scar-tissue (even old scar-tissue). It is anti-inflammatory, regulates cholesterol levels (for more info go to visit K-G Stiles), loosens mucous in the airways (inhalation). On an emotional level it can help reduce stress, is soothing and anti-depressant. On a deeper level it can help to unravel and heal emotional wounds. Wound / bruise, try this recipe: Helichrysum italicum 2dr + Lavandula augustifolia 2dr. Apply 4 times/day for 1-2 days, then 2 times/day for 2-3 days. Then blend the EO in 5ml vegetable oil or Marigold (Calendula officinalis) infused oil and use 2 times/day until healed. Mature Skin: Helichrysum 2dr + Carrot (Daucus carota) 2 dr + Rose (Rosa centifolia) 2 dr in 30ml blend of following vegetable oils: Sheabutter oil (Butyrospermum parkii), Macadamia nut oil (Macadamia ternifolia) and Rosehip oil (Rosa rubiginosa), Apricot kernel oil (Prunus armeniaca). Massage into skin morning and night. Emotional trauma: Make a blend of Helichrysum 4 dr + Myrrh (Commiphora myrrah) 4 dr mixed in 30ml cold-pressed vegetable oil. Massage stomach and forehead each evening when going to bed. If this blend disturbs your sleep, you can exchange Myrrh for Geranium (Pelargonium graveolens) which will be more balancing or Rose (Rosa Centifolia) which is more comforting.